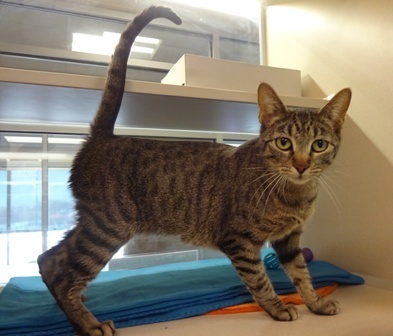 Jennifurr is a 1 year old, spayed female, Domestic Short Hair. Jennifurr is a pretty tabby looking for a home with super nice people. She gets along well with other nice cats in her colony room. You can find great care tips on our Animal Behavior Handouts!